Yesterday, we were excited to donate a great amount of food towards the Bay of Plenty Times Christmas Appeal as a part of the Fill the Bus campaign. We would like to thank the Cubro team who were able to contribute this year. We are delighted that we were able to hand over more than 3 times the amount of food and groceries that we gave last year. 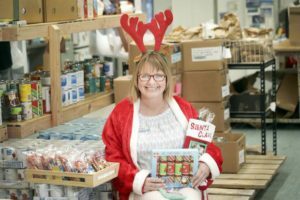 These items have gone to the Tauranga Community Foodbank – Tauranga Foodbank – Foodbank Tauranga to assist in helping families and individuals in our community who are struggling this time of the year. This is a great initiative to be able to participate in and you can continue to donate non-perishable food and other grocery items at Tauranga City, Papamoa, Greerton, or Mount Maunganui libraries, or directly to the Tauranga Foodbank. 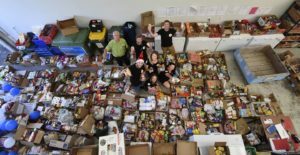 It was wonderful to be a part of the largest amount of donations in the Tauranga Community Foodbank’s history! Here are a couple of news features from the Bay of Plenty Times about the ‘Fill the Bus’ campaign and our involvement leading up to the day.